I've seen a recipe similar to this floating around Pinterest for a long time. I decided it was finally time to give it a try. Let me tell you, this is so easy and SO delicious! I layered everything in the crock-pot before I went to bed and when I woke up I had breakfast ready. It was like magic! This is a very versatile recipe. You could add peppers, tomatoes, green onions, olives - whatever tickles your fancy. Feel free to mix up the meat and cheeses too. The possibilities are endless! 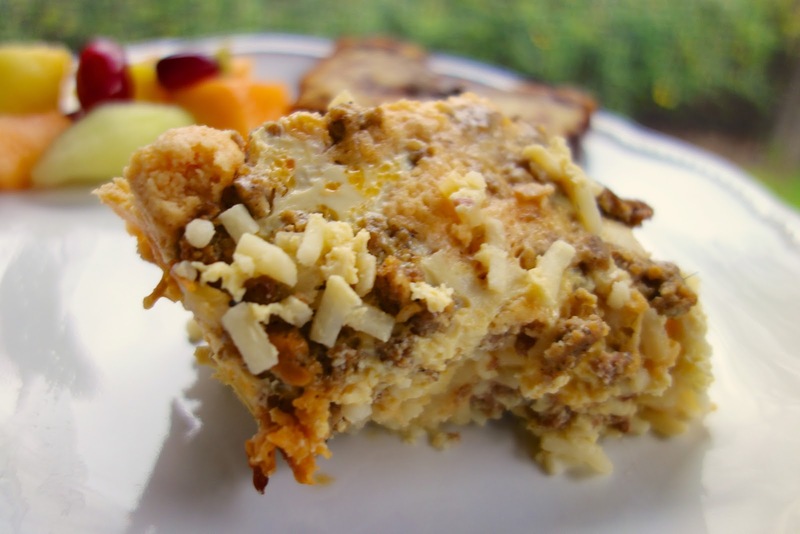 This is a great recipe for overnight guests, holiday mornings, weekday mornings or even dinner. We love breakfast for dinner. In a 6-quart slow cooker, spread half of the frozen hashbrowns in the bottom. Top with half the sausage and half the cheese. Repeat layers. Whisk together eggs, milk, garlic powder, onion powder, salt and pepper. Pour over hashbrown mixture. I really like this idea Steph as I don't like to do a lot of cooking in the AM - hence the use of leftovers. Being able to put this on at bedtime makes it a real winner in my book. I also add smoked paprika and use bacon. It gives it a great flavor. This sounds yummy and perfect for a weekend when the kids are home. My ticky hubby says he does not like casseroles.....but I bet he'd eat this. Perfect for a Sunday morning or when having guests which I will all next week. Am definitely going to make it. It sounds and looks so delicious and easy. Hi steph, I have been wanting to try this too, a nice hot breakfast ready on these cold mornings. Everything I have made on your recommendation has turned out great so I 'll be trying this soon! 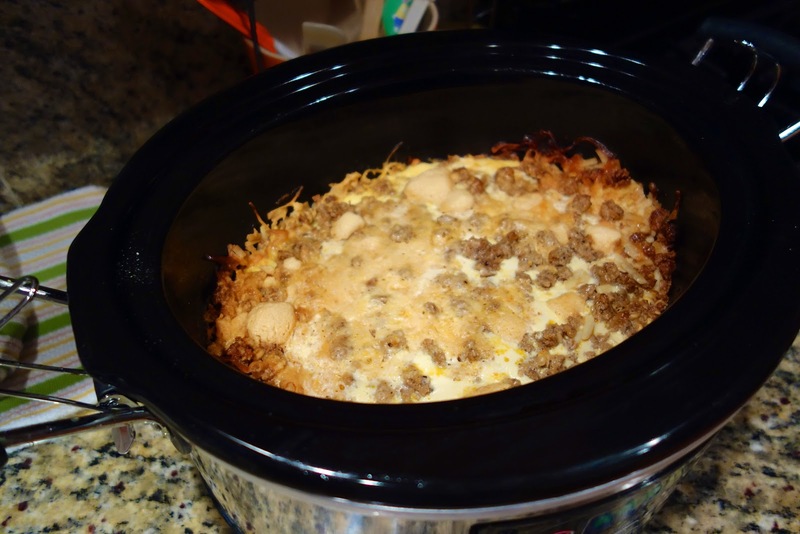 Man, I love these breakfast casseroles but have never done one in the crockpot, I like that idea. I like this recipe and have seen it on pinterest too, but I wonder would it be a problem to use a slow cooker liner so that I don't have to deal with the mess of cleaning afterward?